This time is Sonia **Sony** our hostess (Me).. First, Happy New Year to all of our followers and new visitors. We are back with our first challenge of 2013, as always on thursday, every week with a new sketch and new theme. This time the sketch has been created by Me and the theme I chose is "Anything Goes" very easy. Following the sketch using Polly Pickleberry CD-rom. Now it's your turn to join in the fun! You could be the lucky winner of a Willow Design voucher or be picked as part of our Top 3. Now it's time to introduce you to our new DT members, you will find links to their blog to the right please pop by and say hello! I have been crafting since I was 4 starting with knitting which I continued until about 4 years ago when I discovered papercrafting. I am married with 4 children and I am a Teaching Assistant in the local school. Hello, my name is Mariken and I live in a village in the Netherlands. For several years I like to make scrapbook cards. I love variety anddifferent styles. I hope I can inspire you to create beautiful things and Ilike it when you will visit my blog. Have fun! I'm Nonni, a 32 year old woman from northern Finland. I work in my childhood dream profession but you all know how work life can get stressful -I'm so glad I got interested in crafting, it's really relaxing! I'm fairly new to card making - I found it 2 years ago when planning wedding invitations for me and my great husband. 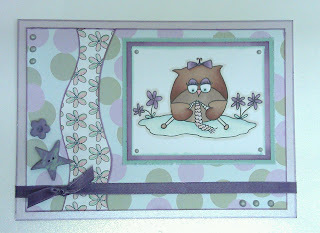 I like many styles and techniques -coloring fun stamped images, making your own backgrounds, playing with vintage stuff and even creating CAS cards. Hi, my name is Kerry aka Crafty Fairie, I am a mom of five, my eldest is 21 and my youngest is almost 12. I am a partner to Pete who supports my craft addiction and we live in the West Midlands and we are lucky enough to live in the house which I grew up in. I love to spend time with my family and if I'm not doing that then I'm creating, reading or watching about craft. Craft is my passion and I am working on making it my full time career. I have been crafting for around six years now and am the founder member of the PanPastels UK Challenge blog and I am proud to head their very talented team. I do live demo and workshop days at different locations and would love t o do more projects for magazines. Hi my name is Carol, I am happily married to my best friend and am owned by a cat called Agatha. I took up crafting a few years ago, starting with jewellery making, but the lure of card making was too much to resist. 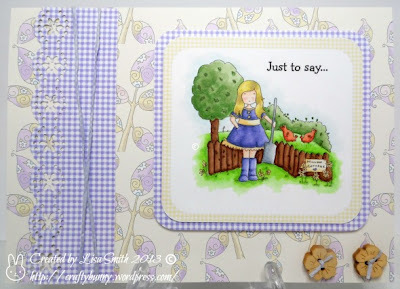 I love colouring, stamping, embossing and anything that involves sparkly things or buttons. I am really excited to be part of another great Design Team and can't wait to play, I mean create things using Sharons great images. I am married to Paul and have three grown up children, two of which still live at home. I am also mummy to three spaniels and two old pensioner cats.. I love walking with the dogs, reading a good autobiography and cooking. I have been a designer for Docrafts for longer than I remember, and love meeting people up and down the country whilst doing my job. I have been published in quite a few magasines, and at one stage had quite a few of my personal designed parchment craft patterns featured. You may also see me pop up on Create and Craft from time to time too. I was the founder member of the Forever Friends blog with my friend Nikki too, which is still going strong. My favourite thing to do when crafting is to stamp and colour - I love it! I also confess to being a magpie - love, love, love anything sparkly!! I also like pink. It's my favourite colour! And I'm a typical Gemini too..
We have lots of new exiting things coming up at Willow Designs this year and we hope that you enjoy playing along with the sketches and themes that we have planned. Welcome to the New DT - Sharon K, Mariken, Nonni, Kerry and Carol... is a pleasure working with all of you. I hope my card is good to play a long for the challenge .